How much does it cost to play on DraftKings? This question is by far, the most common question I am asked. (e-mail me, Robert Alan at usalegalonlinepoker@gmail.com with any DraftKings questions). On DraftKings it will take as little as a $5 to $10 Deposit to start playing. The amount you choose is mostly determined by your confidence in your ability to draft winning fantasy teams. If you more confident kind of fantasy player, any size deposit is good. Special 2016 Week One Offer: Get a Free entry into the Week One Millionaire Maker when you start with a Minimum Deposit on DraftKings Today……..
$10 is more than enough to start playing Daily Fantasy Contests or weekly Fantasy Football on their 25¢ buy-in Quarter Arcade games and you can be sure that your account is safe and secure. If you go with a $20 to $30 deposit, the $1 and $2 contests are perfect. This will give you plenty of entries and a chance to make your daily / weekly player selection process take hold. A $5o to $100 starting amount will be a perfectly comfortable amount to start on the $3 to $5 contests. The key to controlling the “cost of playing on DraftKings” is to use a money management system to keep yourself in the game everyday. As you already know, playing and winning on fantasy sports involves a lot of variables (injury, off days, opponent just having great games, etc.) so have have to accept the fact you will not win everyday. By budgeting the amount you spend daily, you can give your fantasy skills a chance to work and when they do you’ll have enough in your account to take advantage. Whatever amount you choose to start with, just remember to budget your bankroll. You really should limit your entries to about 4 to 5% of your total account amount on any one day, in order to get the most for your fantasy dollar. If you start with say $10 deposit, limit your play to one or two 25¢ fantasy contests each time you play, until you start winning and grow your balance to $20 or $25. Then, you can start playing up to $1 (one contest) each session or go with 3 or 4 – 25¢ contests when you play. If you start with $50 you can comfortably play $2 or $3 a day, divided into 25¢, $1, $2 contests or a $3 contest daily. A $100 deposit will allow you to play up to $5 in entries each time you play. $200 will allow a comfortable $10 in entries each time you play. Never put all you have in your player account on one or two contests at any one time, that’s a sure way of losing everything you have. Another advantage of spreading your contests is you could use the same line-up on each or make minor changes on some line-ups to expand your winning chances. The Quarter Arcade, $1 and $2 contests offer all the excitement and challenge of daily fantasy at a price everyone can afford. These also allow multiple entries, so you can use different line-ups in the same contests. 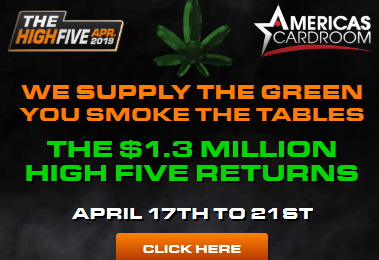 Prize pools on these small buy-in contests have up to $10K to $100K in Guaranteed prize pools and award the 1st place finishers up to $10,000. DraftKings has a very reasonable fee structure, almost all contests only charge 10% or less of the total buy-ins as their share of the action. For example: On a $1 league buy-in, 90¢ from each player will go directly to the prize pool and DraftKings will collect their 10¢ fee. In this example a 10 player league will have a $9 prize pool to pay the winners. Every time you play a cash contest you’ll be credited with Draft King Points (DKP), these are paid at a rate of 4 points per $1 entry. These DK points can be used to buy additional contest tickets or gifts in the DK store. There are also free games you can try, which pay contest tickets to Steps Tournaments. DraftKings accepts all major Credit Cards, Debit Cards, VISA/MC gift Cards and Pay Pal to get you started. Pre-Paid/Gift Cards can be used like Credit Cards on DraftKings. Are you ready to win life changing money? All new users will get a free entry to a NFL Millionaire Maker game on DraftKings when you deposit any amount. DraftKings has a large selection of MLB, PGA, NBA, NHL, MMA, Soccer, NASCAR and NFL fantasy contests open to join everyday. « I know you have heard of Fan Duel…..